Nissan Patrol has set another record, got another accolade for the wonder that it did. The car just towed an aircraft weighing 170.9 tonnes over a distance of 50 meters. 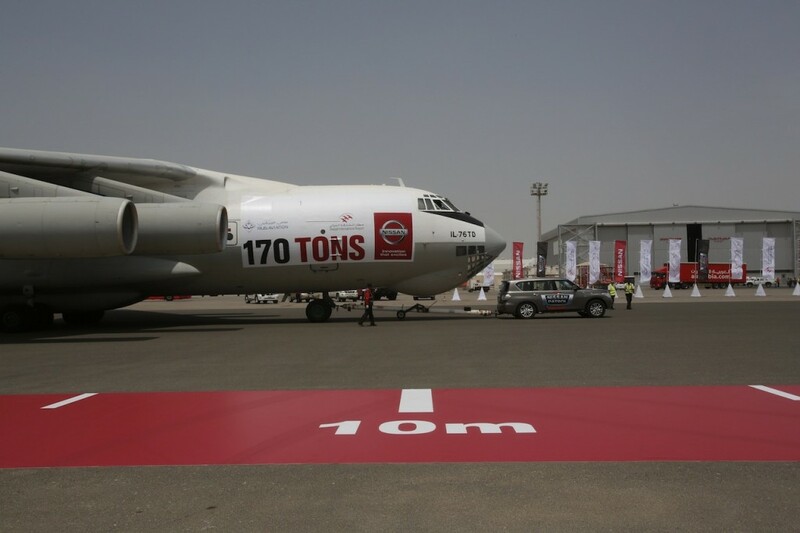 Guinness have conferred the title of the “Heaviest Object Pulled By Any Production Vehicle” to the Patrol for pulling the Ilyushin Il-76 cargo plane and the event took place at the Sharjah International Airport. The plane which weighed 170.9 tons, was filled with fuel and cargo! Nissan specifies that the vehicle used was an unmodified one and is similar to the regular vehicle sold in the market. The 5.6-liter V8 petrol engine which features all wheel drive as standard across all Patrol vehicles. The aircraft was towed at Sharjah International Airport. Today Nissan celebrates another landmark day in the Middle East with its second Guinness World Record in eight months. 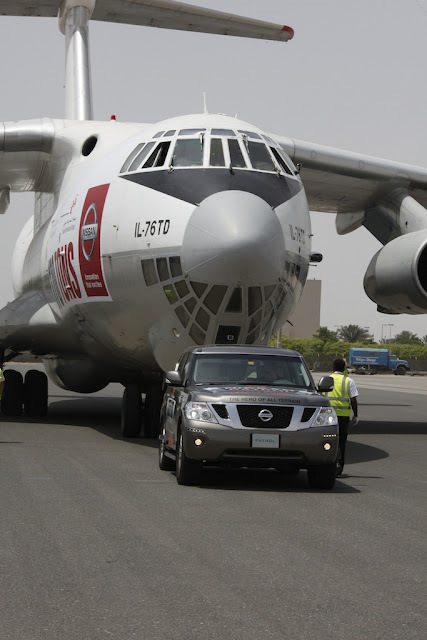 When we began this project we encouraged the people of the Middle East to dream up the next and ultimate challenge for the Hero of All Terrain, Nissan Patrol.